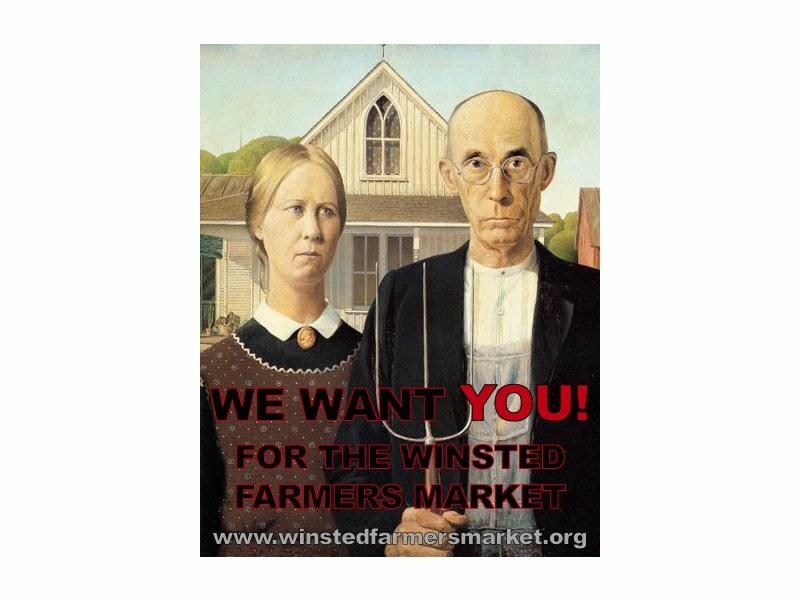 The Winsted Farmers Market needs your help! We are currently seeking volunteers. We need people to help with set up and take down on market days, distribute posters and flyers, greet market patrons and offer information about the market. Only have a few hours to spare in the summer? Every little bit helps and we have volunteer positions to fit all schedules. Set up and take down positions require less than an hour on Fridays either at 2:30pm (for set up) or at 6:00pm (for take down) - if you can do both, even better! This work requires some lifting and carrying but not a lot. Poster and flyer distribution positions are flexible in terms of time. Volunteers will take a number of posters or flyers and hang or place them in local businesses (with permission, of course), and community locations. During the summer, keep an eye on the posters and flyers and replace missing or damaged posters or replenish flyer piles. Market assistance work occurs during market hours (you can help out for the entire market or just an hour - it's up to you). Volunteers may be asked to greet patrons and offer information, staff the information booth, or ask patrons to complete a short survey.